The BBC reported this week that 52 out of 100 children in the UK don’t eat a single portion of veg each day. I know it can be difficult to reach the recommended five portions of fruit and veg every day–some days are harder than others–but I was surprised that over half of UK kids don’t eat any veg at all on a daily basis. Here are our top ten ways of getting your kids to eat more veg, with links to recipes on the Mini Yummers site–click the title of each one to be taken to the recipe. 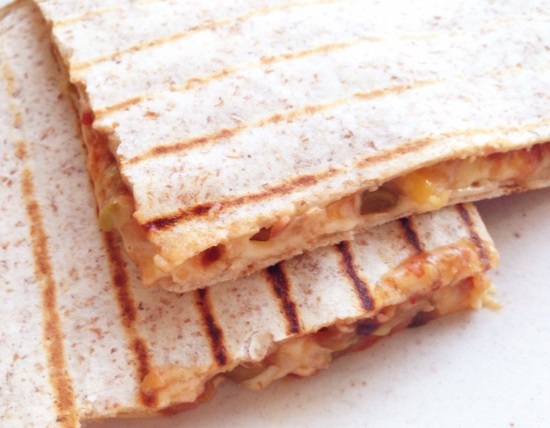 I make mini versions of these for little one’s lunchbox, but larger ones can form the basis of a yummy main meal when warmed. You only need a small tin of sweetcorn–yep, tinned veggies count too 🙂 They also contain starch and dairy protein, so three of the food groups are covered in one. 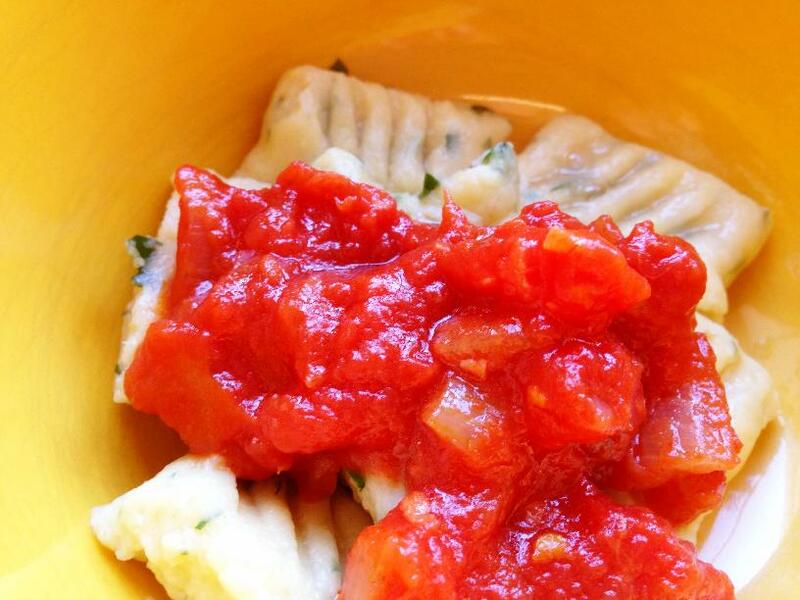 Although there’s only a small amount of veg in the actual gnocchi, when served with a nice tomato sauce (recipe included in link), you have an easy vegetable portion right there. To up the veggie intake you can substitute the potato in the gnocchi for sweet potato–you’ll need to add a bit more flour though as sweet potatoes are wetter than potatoes and your mix will be gooey. Kids love veggie soups, and almost all veggies taste good in a soup (with the exception of bitter veggies). If you cook them in enough stock to cover them, add a tin of chopped tomatoes and some herbs, then blend when it’s all cooked, you have a simple yummy soup. 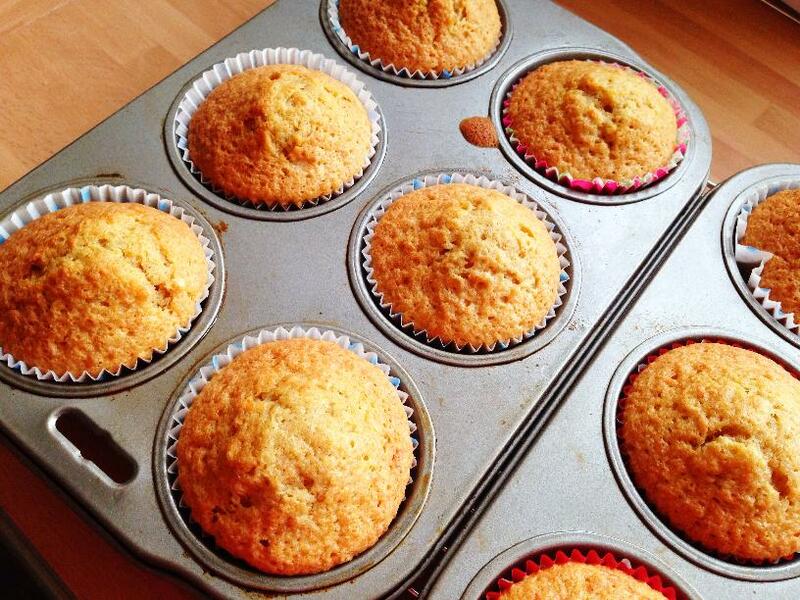 We have two recipes on Mini Yummers if you fancy something a little different. Tomatoes, broccoli, frozen peas, sweetcorn, and artichokes from a jar, all taste great when added to a classic macaroni and cheese. The veggies aren’t exactly hiding, but it’s a good way to tempt more fussy eaters to try vegetables as the cheesy sauce encourages them to have a go. 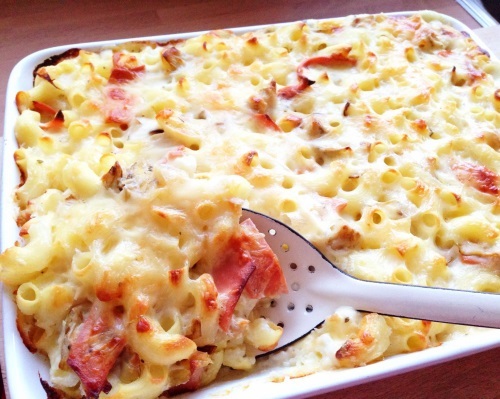 Although this recipe includes making your own pasta, you don’t have to go that far. 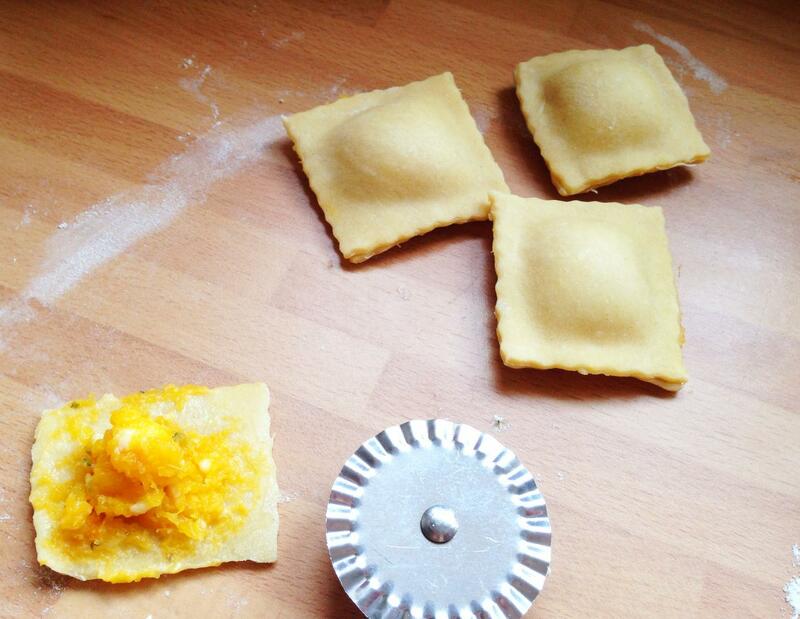 You can buy readymade lasagne sheets and par cook them before filling and cutting the pasta to make ravioli. The butternut squash filling though, is really yummy and easy to make. It’s sure to tempt any child to eat more vegetables. 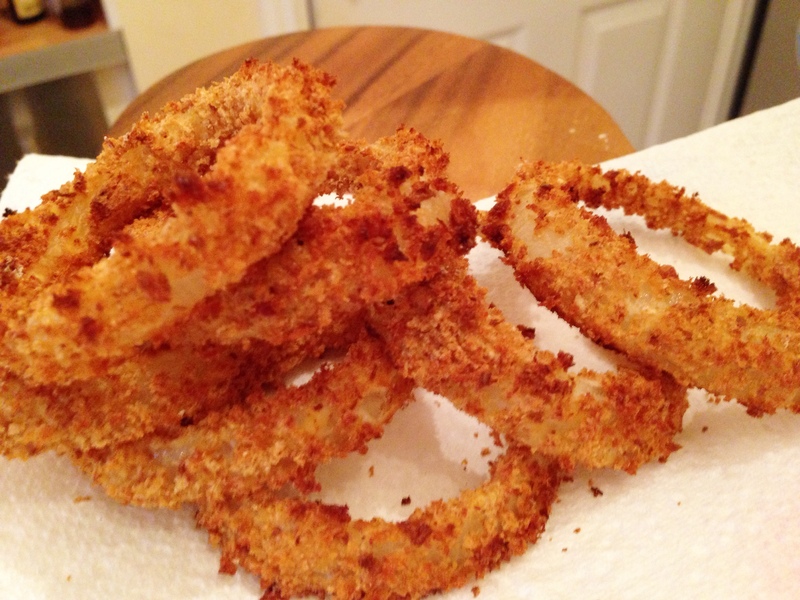 Although this is very much a side dish, these onion rings are baked, rather than being fried, so they are pretty healthy. Onions are also a great veg for children with sensitive tummies, have lots of vitamins, and are a good source of iron. I’ve not met a child yet who didn’t like onion rings. The original recipe for this uses a tin of mixed beans, and, just to confuse us, most beans can count as either a protein or a vegetable! Green beans, sweetcorn and butter beans (lima beans) usually feature in mixed beans though and these are definitely vegetables. To up the veggie quota further, you can always add some peas or extra green beans. Even if your kids don’t usually like beans and peas, they get mashed up with other ingredients in this recipe and taste yummers! 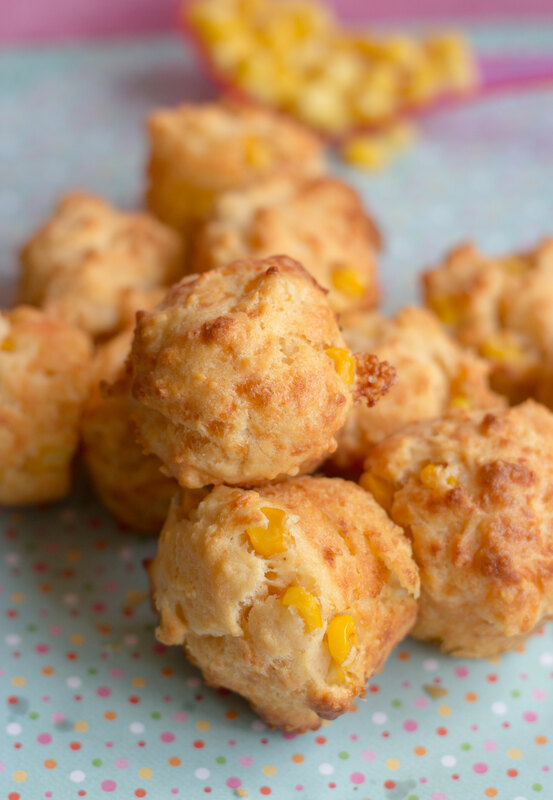 Such a lovely recipe for kids to make, and these sweetcorn fritters taste good hot or cold. I often make a few mini ones in addition to larger ones that we’ll eat for dinner, and pack the mini ones in a lunchbox the next day. Once cooked, you’ll need to eat them right away or store them in the fridge. 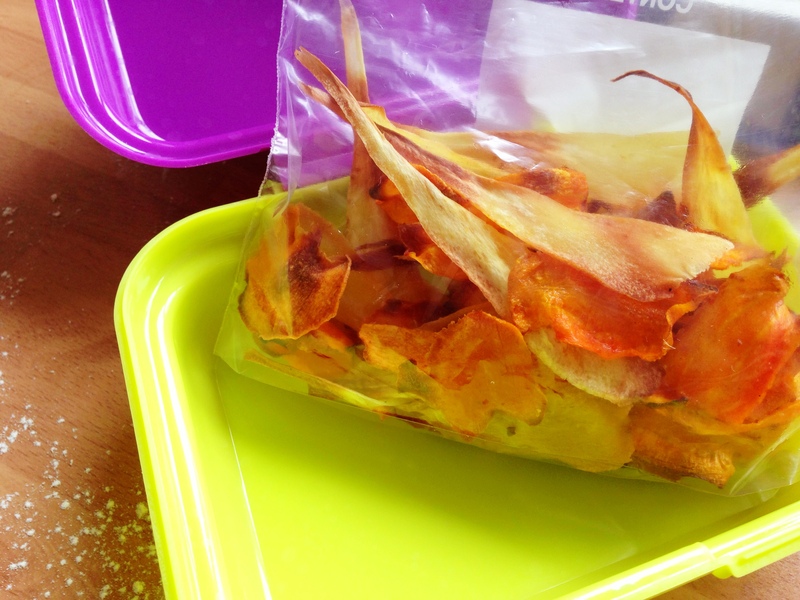 Sure to win over any child, these vegetable crisps are simple to make and perfect to eat right away or from a sealed container for a healthy addition to the lunchbox. Much healthier than the bagged potato variety of crisp, and your little one will love them just as much. OK, so I’m sheepishly adding this one 🙂 It’s still cake, at the end of the day, and in no way am I suggesting this as a regular way for your kids to get their daily vegetables. But a treat every now and then, that also includes vegetables, can never be a bad thing. Do you have any favourite ways to get more veggies into your kids’ diets? Please share–we’d love to hear how you cope with this problem. 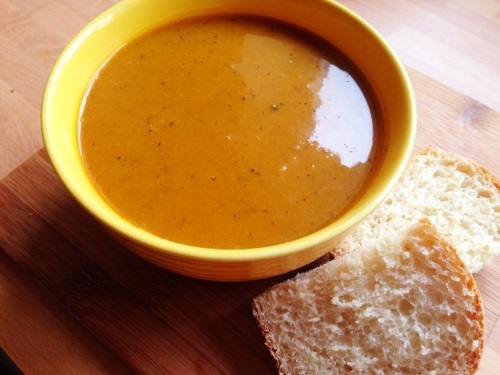 I have a fussy 3 year old and even though I have tried soups and carrot/fruit muffins, you have posted some good ideas. I like the idea of the ravioli. I’m going to try and challenge myself to get him to eat better and start letting him help me in the kitchen. These are some great ideas, thanks! I have a 20 month old who eats pretty much anything, and a 3.5 year old who only eats white food… and raw carrots. 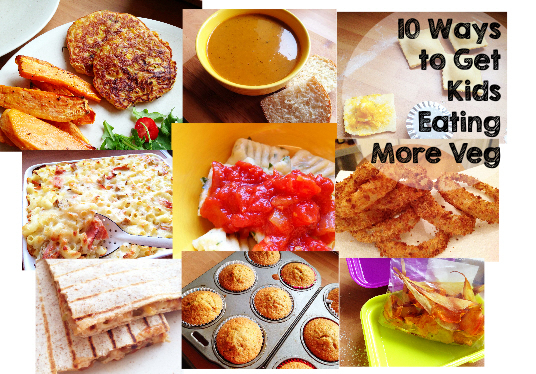 Great ideas here – I am always looking for ways to sneak veggies in! I wish I could agree with you when you say all kids love soup – my son flat-out refuses to even try soup – don’t know why – I totally love it! I love the veggie crisps idea – that could be a winner, and the cupcakes with veggies in! Wow some great ideas thank you! 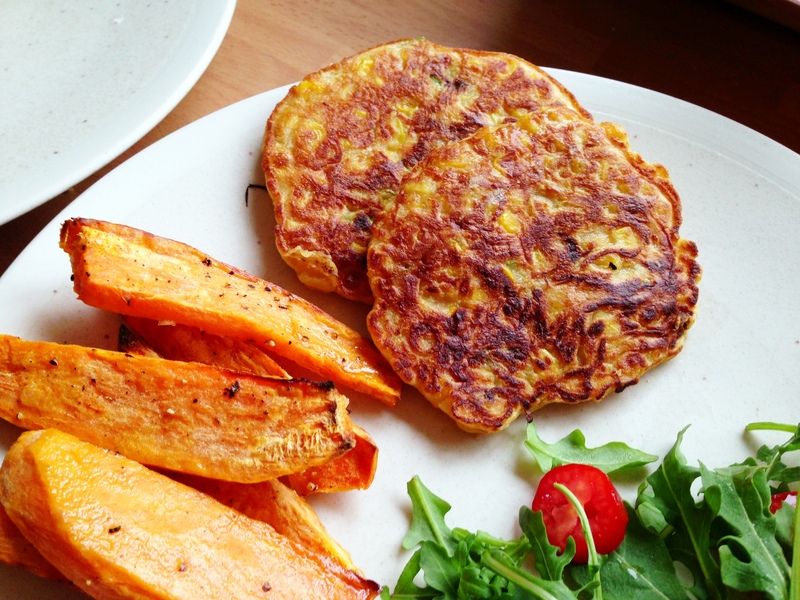 We loved sweetcorn fritters or sweetcorn pancakes as we call them!